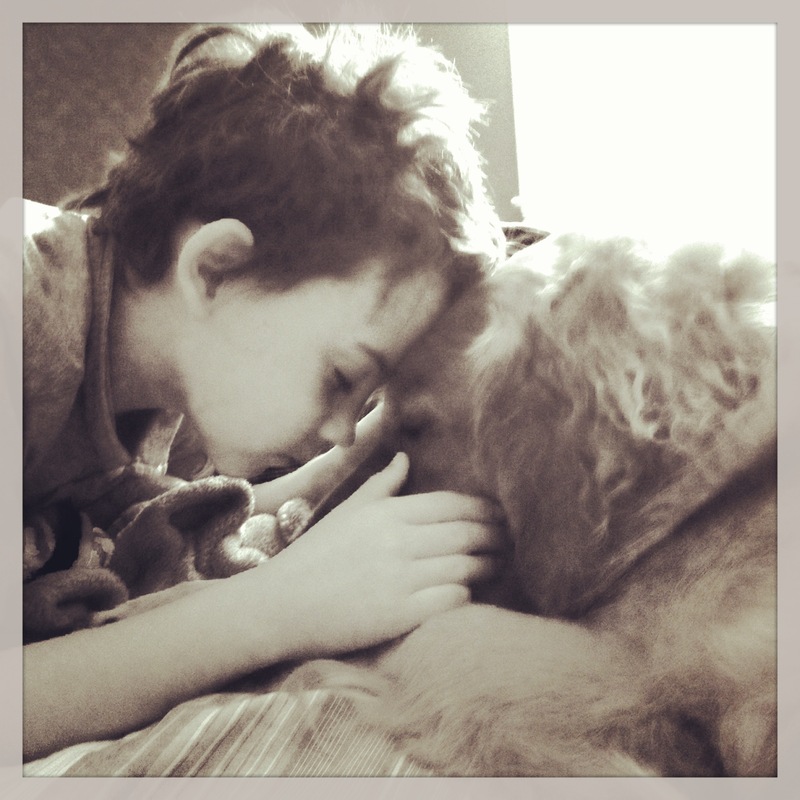 I’d like to say this photo was a candid shot of unconditional love experienced by my 8 year old son and our 4 year old Golden. Well….that’s half true! Although during this snuggle fest on our bed, my son whispered to me “take my picture” so it wasn’t exactly candid! But both my sons adore our dogs and that is such a blessing. But what did I expect? I was born into a family of dog lovers. My dad always joked that he wanted to come back as the “Murphy dog” because they were all so spoiled and loved. And the ironic thing is that my family seemed unable to express their love for each other, but never shied away from kissing and hugging our dogs and saying “I love you!” as long as the recipient of the declaration was canine. Last year was a hard year for my family. 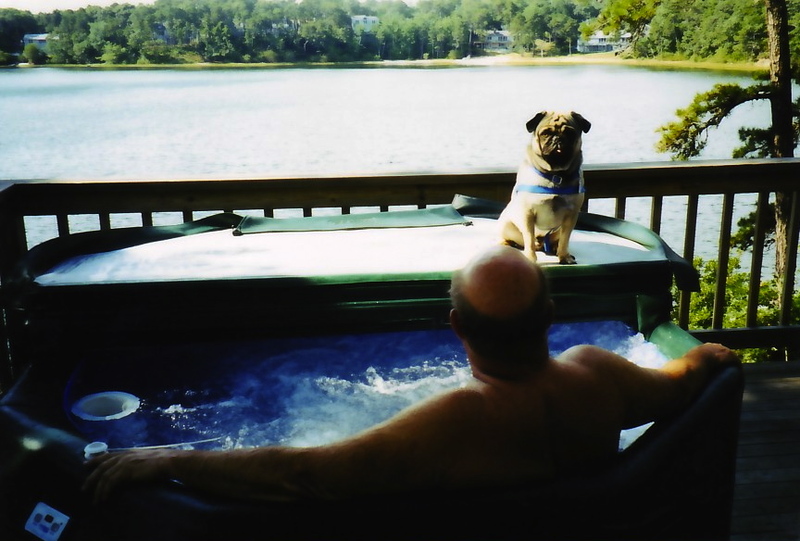 After losing my mom’s rescue dog, two weeks later we lost my dad. But the two events couldn’t be more different. My dad had suffered for years in an assisted living facility dedicated to patients with severe dementia. 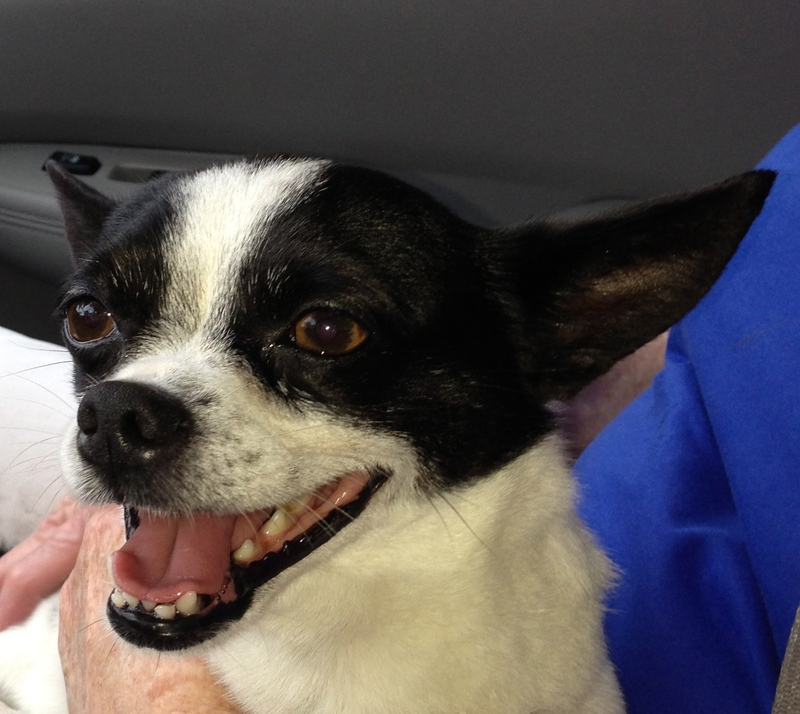 He had multiple strokes and was in a wheelchair, unable to eat solid food for a long time. My mother visited him and sat with him for years; sometimes you felt there was some recognition, other times you knew there wasn’t. Quite an emotional roller coaster for all of us. My children were fearful at times walking into the home as dementia patients would come try to hold their hand and talk to them. But they were troopers and we all learned that just being there could mean a lot to other patients who never saw friends or family. Since my parents retired to South Florida, my mom and friends were close by, but us kids (and grandkids) didn’t get to visit as often as we’d like. In the end his passing was a blessing. People always say that and you think it sounds awful, right? But it was true. After having to put two of my beloved dogs to sleep in the past, I know how excruciating that process is. And I can’t tell you how many times my family talked about the fact that we treat our animals with more respect than our human family members. This photo is one we chose for my dad’s memorial. We had to have a picture with his favorite child – Jessie the pug 🙂 After raising three independent girls, Jessie was truly the boy he never had! And as for my mom, well she’s doing remarkably well. She’s 84 (she doesn’t use “the internet” so won’t be upset with me for mentioning her age!) and has a new baby that she’s just nuts about. Casper, a rescue Maltese. I’ve always been an optimist, and tried to see the reason behind things happening. But I’ve also always been someone who feared the worst case scenario, which has definitely increased since having kids. So last week I had to reconcile one of my worst fears and find a reason for it. Easier said than done. I felt like we were in a movie, that surely we would catch him. But that didn’t happen. It’s made me think of other tragedies friends and family have endured. When children get sick you think they’ll get better. When friends are diagnosed with serious illnesses, you think they can be cured. But that’s not always what happens. Handling the reality of life can be overwhelming to us adults, so how do a 7 and 9 year old handle tragedy? Unfortunately my kids have been around death before – death of their dear grandfather, death of my mother’s pug Jessie, and the death of a close friend of ours who had kids their same age. But I realized it was the trauma of seeing it happen and the sudden shock of it that made it so hard to understand. I also know that I’ve passed along the Murphy “dog crazy” gene to my kids. And as hard as everything has been, I have to say I am happy to see my kids developing a true love of animals. It’s heart wrenching to lose them, but it’s so rewarding and wonderful to love animals. Would we ever choose to be different? Although I have to admit momentarily as we were running down the side of a busy highway I did think we were all crazy, and I should get my kids back to the car (they weren’t near the traffic we were being safe). But I couldn’t turn around. We had to keep going, keep trying to save the dog. Why? I think it’s unconditional love that is so rare in life. And even though my 7 year old said “Nana needs a cat” which was heartbreakingly funny and such a simple solution for a child, I knew that wouldn’t fly. Because we are dog people. And proud to love our pets because they sure deserve it. So the old cliche is still true, and it’s the only reason I can find in this hour – I’m glad we’ve loved and lost, than never to have loved at all. And I know little Carson is safe and running free. 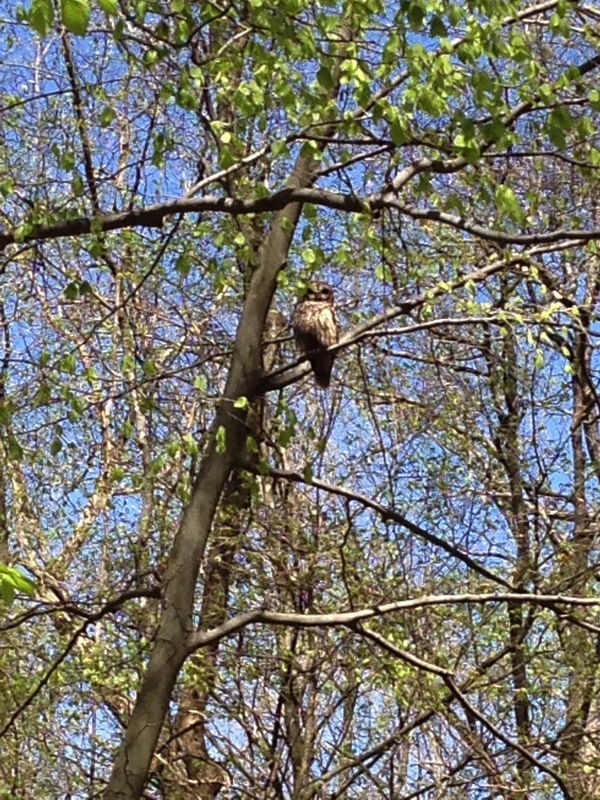 As I’ve written about before, ever since I lost my beloved Cato I have seen owls during my walks in Percy Warner Park. At first, people thought I was a little crazy (guilty! ), that most owls don’t come out during the afternoon, that I must be imagining things, etc. But then I started taking photos, which is hard while walking two 75-pound dogs! For me, the owl represents wisdom and unconditional love and it almost always pops up when I need to see it. Weird, huh? Yesterday I was allowing myself to get worked up over some discriminatory remarks made by some close to our family. I have a real hard time letting things go sometimes! So as I was walking the dogs, I was getting more and more upset, wondering how people can be so judgmental and think that denying other people basic human rights is somehow okay? Just as I was using my lawyer mind to craft my best arguments for a hypothetical discussion that will never take place, I looked up and there was my owl. So I will continue to take deep breaths and remember that only I control my emotions. And if others want to eat chicken fried in peanut oil and sit back (or drive thru) and condemn others, well I guess it’s their right. But I’ll be out walking, appreciating and celebrating the diversity of nature, both human and animal. I was born with a moderate fear of heights. Something I realized when I was on top of the faux Eiffel Tower at Kings Dominion Park in Richmond, Virginia over 30 years ago. Walking to the edge had me very shaky and worried somehow I would hurl myself off of the Tower and fall. Which of course was impossible given the amount of fencing all around the top. This same fear has only cropped up a few times in life, most recently on ski lifts. 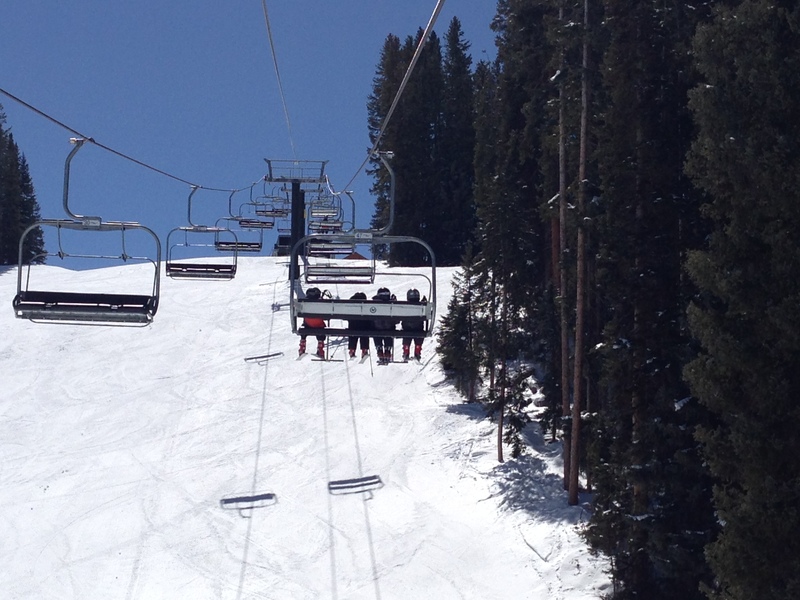 So last month I got to experience a double whammy – taking my 7 and 9-year-old boys to ski for the first time in Crested Butte, Colorado, and riding with and WITHOUT them on ski lifts. One of the lifts had (gasp) no bar. Damn you Teocali lift! Next lift, of course, I was right there with them but was forced to admit that it was probably a good thing for their self-esteem and confidence to do that lift all by themselves. And good for me to maybe give them some space when they’re ready. I am honored, and a bit terrified, to have been tagged in an author blog hop. Especially an international one 🙂 Here’s how The Next Big Thing Blog Hop works: An author answers ten questions and then tags five authors (if you are able to find them – I am still working on that!) to answer the same questions on their blog the following week. The funny thing about being tagged is how many coincidences led me to this place in my life. I was tagged by Elizabeth Carden, a historical fiction author and freelance writer, who I initially met years ago as the wife of a coworker (we were both lobbying the Tennessee General Assembly). We had both of our children within days of each other, and I chose a family name – Flanagan – for my son’s middle name which Elizabeth had chosen for her daughter’s first name (although the spelling is different). We subsequently learned we share the same hairdresser, both had children with peanut allergies, both were working on our first novels, and strangest of all, we are very likely related. Yes, over coffee we talked about our Irish heritage and found out we both hail from Considines in Ireland. Oh and did I mention that Elizabeth was runner up in the Historical Novel Society’s 2012 Short Story Award in London? See why I’m terrified?! What is the working title of your next book? Since I just completed my first novel and am starting my sequel, I’ll talk about my first real manuscript. The title that has stuck the longest so far is Warning Signs. I actually had chosen Boys Will Be Boys, but that was thoroughly assailed on some writer blogs because it gave rise to a coming of age book, not a thriller involving an animal cruelty investigator. Always good to check with others! The meaning behind the title is that many perpetrators start with animal cruelty and move onto human violence, usually against domestic partners or family members. Where did the idea come from for the book? I lost my beloved Cato, a 14-year old Siberian husky, in 2005 and had more than a hard time coping. The saving grace was that I was pregnant at the time, so I knew a new life would be coming into the world just as I was saying goodbye to my canine best friend. Over that first year I began writing to help express my emotions and loss. I actually wrote a poem which is VERY uncharacteristic of me, and started thinking more about becoming a full time writer. I was an attorney/lobbyist at the time, and always loved the writing aspect of my job. I would volunteer to write grants, memoranda, etc. and it finally hit me after losing Cato that I really just wanted to write. After the birth of my second child in 2006 and facing several serious health challenges with my ailing father, I decided to leave my full-time job and focus on writing. The idea for the book just sprang into my brain one day. It was part tribute to Cato, and part tribute to all the animals out there who have been abused. What genre does your book fall under? The book is a mystery/thriller. There is a bit of whodunit woven throughout the first part of the novel, and the second part is more thriller, as Eden chases down the perpetrators, trying to stop the escalating violence. What actors would you choose to play the part of your characters in a movie rendition? I actually chose pictures of famous people, not all celebrities, when I was working with my writing coach on my first draft. Since that was so long ago, I have updated a few cast members. I chose Evangeline Lilly (but with red hair) for Eden Hayduke; Rooney Mara for Harris Hampton; Aaron Paul for Councilman Jeff Saunders; and a young Benicio Del Toro for George Fuentes. Still working on ideas for Declan and Jillian. Colin Montgomery (British golfer) was the visual I had in my head for Phil Hampton (I’m not his biggest fan), although Kelsey Grammer would be a great choice. What is the one-sentence synopsis of your book? A female investigator for the ASPCA battles Southern politics while solving local animal cruelty crimes and saving an abducted girl. Will your book be self-published or represented by an agency? I do have agency representation and we are actively looking for a publishing home for my novel. So I am hopeful, but also realistic. Not sure where we’ll end up, so for now I’ll just optimistically say it will be published. Somewhere, somehow. How long did it take you to write the first draft of the manuscript? This is embarrassing. It took close to 5 years to really finish the first draft. I had a rough outline of the novel in my head back in 2006, but it took months for me to really get started. I finally reached out to a great friend, Anne Guzzardi, who is a talented poet and writing coach. I hired her as my writing coach and we worked hard on the first draft for almost two years. What other books would you compare this story to within your genre? This is hard because the unusual thing about my book, and the fascinating thing to me, is that I haven’t found any other mystery novel that has an animal cruelty investigator as the protagonist. So unfortunately I don’t have a close comparison, although I do look to authors such as Harlan Coben, Patricia Cornwell and James Patterson for inspiration. Who or what inspired you to write this book? I have always loved animals since I was a child. I was part of a team who worked on changing animal cruelty laws in Tennessee (from a misdemeanor to a felony) and learned so much about how crimes against women and children often start with crimes against animals. I wanted to highlight this link, but also entertain because I do love a cheesy novel I can pour through while sitting at the beach. Vivian Slade recently published her beautiful audiobook and e-book the Dragon King, which truly was a family project. Her daughter Johannah illustrated the book, her younger daughter Sophia lent her voice to the townspeople, her husband Todd helped produce and sing on the project, and of course Vivian wrote the text and ALL OF THE ACCOMPANYING MUSIC! The score is so special, and Vivian (herself a talented singer/songwriter), pulled in so much of the Nashville musical talent to perform the songs it’s truly a work of art. It’s been a hard summer and fall, there’s no other way to say it. I lost a dear friend to ALS which still seems unreal. Another good friend lost her husband at the tender age of 33 recently too, and it’s so hard to accept such a shocking loss. I’ve spent the last few years going to funerals for my parents’ friends and friends’ parents, but can’t believe now I’m having to watch my friends say goodbye to their husbands and wives. I have been amazed at the strength they’ve shown, and the outpouring of love and support for them and their children. 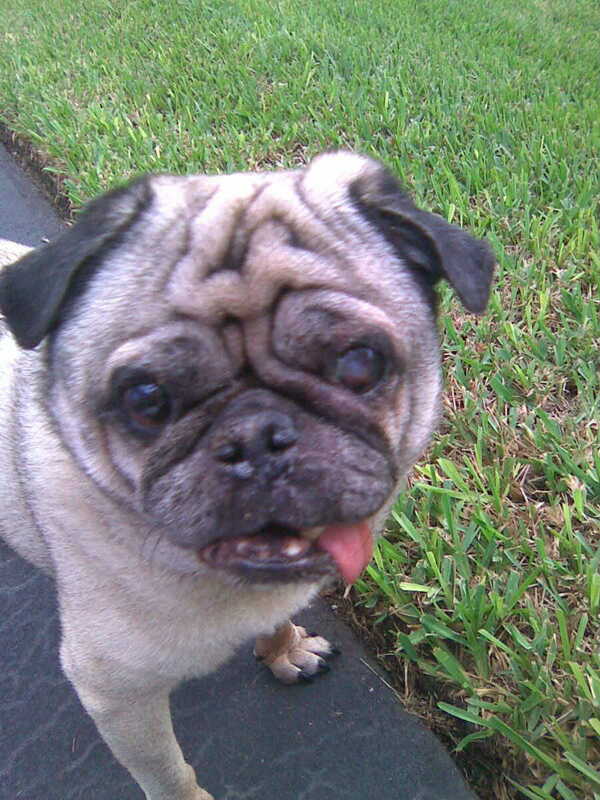 I also helped my mom say goodbye to her beloved Pug Jessie, who is pictured here. He has been such a wonderful companion to my parents, especially my mom who now lives alone since my Dad has been in a special Alzheimer’s assisted living facility. 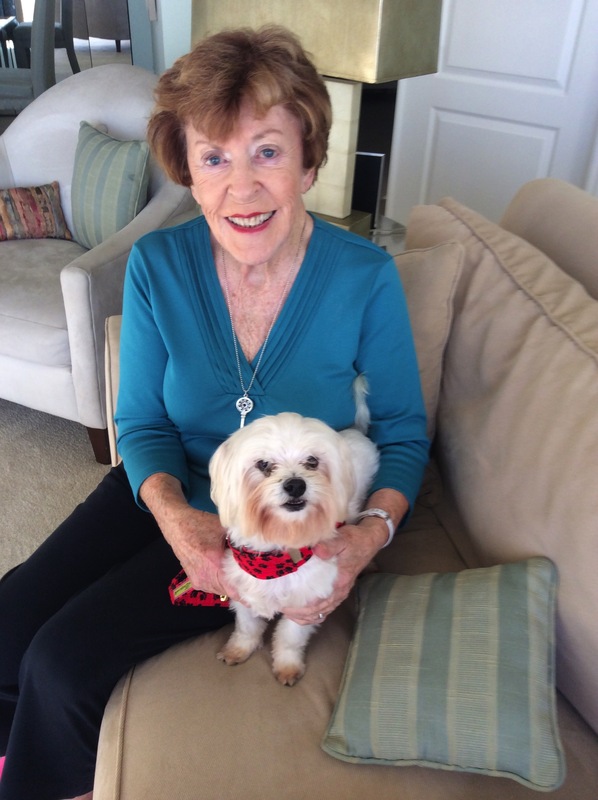 My mom is a super active spry 83-year-old, and walking the dog each morning, afternoon and before bedtime has kept my mom young. It’s been another wonderful example to me of how much animals give back to us, and all they want in return is a little love. And in Jessie’s case, also a few scraps now and then 🙂 Jessie was also so loved by my dad, and it’s unclear whether he can understand or comprehend that he’s gone. Maybe that’s a small blessing of his dementia, but I know the other residents at his facility will all miss seeing little Jessie strut around on his visits. So I am ever thankful for all the human and canine loved ones in my life. Even though I know someday we’ll all have to say goodbye, I will try to enjoy each and every moment until then. And we are making the next few days extra special. My mom has become motivated to travel again, and we are now taking a Murphy girls’ trip to Italy in a few days which will be a blast. Compliments of my more than generous sister Kathy who is treating the 4 of us to a fabulous trip. 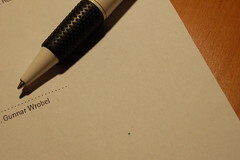 Signing on the dotted line…. I’ve been out of the loop for a few weeks now mostly due to the entire family’s bout with the flu (on spring break believe it or not). Then the flu again once we were home. Then strep throat, then full body rash accompanied by a recurrence of strep throat – these last few were all suffered by my poor six year old 😦 Fingers crossed we will be returning both children to school tomorrow. But I have news….I am officailly signing my contract with a literary agent as we speak! The best part of my news is that it has truly freed me to focus on my sequel which is finally in the works. It took me a while to find motivation (I am a professional procrastinator) but now I have a new plotline (well almost), and have some research ahead of me, which is what I love to do. After working for years on my first book, it’s a welcome relief to move onto something else. I honestly don’t know if I could have reviewed that darn thing one more time! I’ll post more news if and when I have it, and will keep updates going on my books. I’m getting more and more attached to Eden Hayduke, Animal Cruelty Investigator and of course her best friend/Siberian husky Buck (aka Cato) each day. This is a new world for me so who knows what changes lie ahead? Just hope that someday I’ll be able to post a link where you can purchase a copy of my first novel Warning Signs! And if not, I am sure I will be happy to email copies to those who have a few spare hours on their hands. Just like other things in life, hopefully the first time is a great learning experience, and the second time is…at least better written and more interesting???!! !